Arkansas State University-Beebe proudly announces the famed improvisation group The Second City is scheduled for a performance on Tuesday, October 9, 2018, at 7 p.m. in the Owen Center Auditorium as part of the university’s 2018 Concert-Lecture Series program. “The Best of The Second City” features a collection of the best sketches and songs made famous by The Second City veterans and Saturday Night Live superstars, such as Tina Fey, Stephen Colbert, Amy Poehler, Steve Carell, Gilda Radner, Jordan Peele, Mike Myers, John Belushi and Bill Murray. 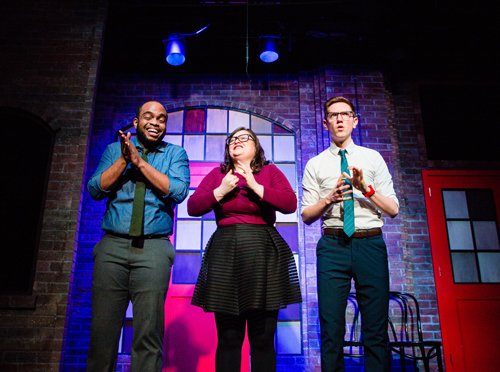 The Second City is celebrating nearly 60 years of producing cutting-edge satirical revues and launching the careers of generation after generation of comedy’s best and brightest. For more information about The Second City, view the website at www.secondcity.com. Seating for the show is general admission and on a first-come basis. Ticket prices are $10 for general admission and $5 for seniors, students, military and educators. Tickets for “The Best of The Second City” performance are now available for purchase online at https://asub.ticketleap.com/, at the Institutional Advancement office (located in the Ruth Couch Building on the ASU-Beebe campus), and at the door one hour before show time. Doors will open at 6 p.m. the day of the show. Arkansas State University-Beebe is an operationally separate, two-year institution of the Arkansas State University System. With campuses located in Beebe, Heber Springs, Searcy, Little Rock Air Force Base, and online. The university offers associate degrees, certificates, and non-credit training for business and industry. The Beebe campus also collaborates with Arkansas State, a four-year university in Jonesboro, to offer baccalaureate and graduate degrees on the Beebe campus. ASU-Beebe is nationally recognized by the Aspen Institute for student success rates.